45" x 58" 100% polyester roll up picnic/stadium blanket. 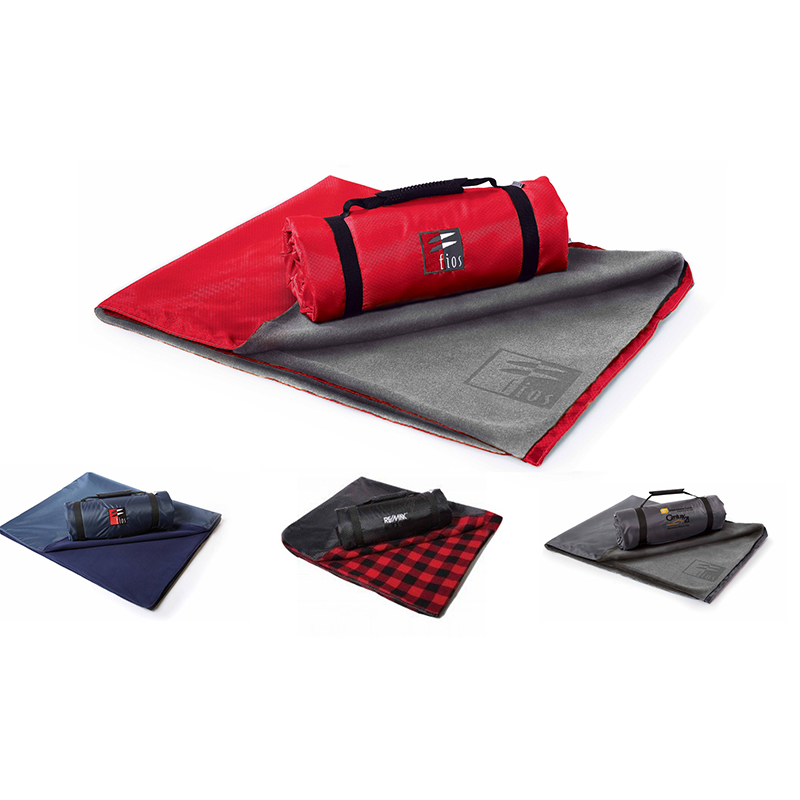 This water resistant blanket has a PVC-coated ripstop exterior with a strong and durable ripstop and a soft, Kanata fleece interior and comes complete with a molded rubber carry handle. Colors Available: Navy (Pantone 5395U)/Navy (Pantone 2767C), Black/Buffalo Check, Red (Pantone 186C)/Charcoal (Pantone 424C), Gray (Pantone Cool Gray 11C)/Charcoal (Pantone 424C).